Spotted Rabbit Studio provides professional-level art making experiences for adults with developmental disabilities. Our artists work collaboratively to make whimsical and original works of art. We’ll be at Little Button on November 4th with our full line of ceramic holiday ornaments, animal bells, alcohol ink coasters and mono prints. We have a ton of items perfect for stocking stuffers, such as tags, pins, and button jewelry. Stop by to shop and also meet the artists! 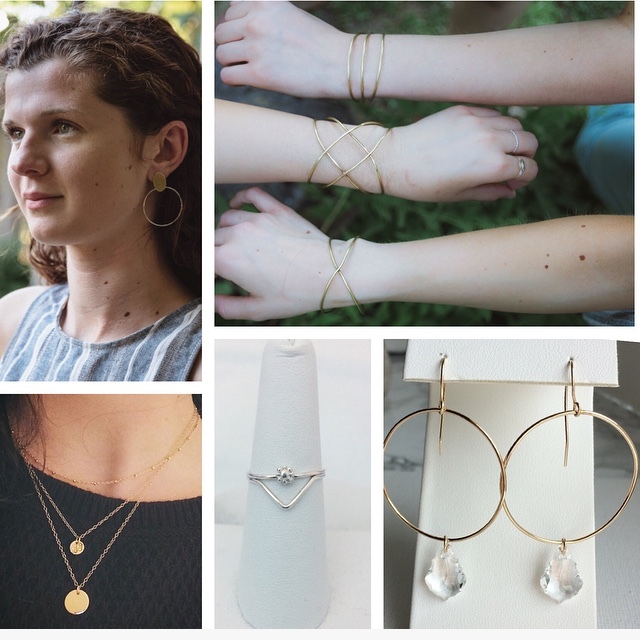 Join Rachel Weber Designs and Megan Farrell of Unstrung Studios for a pop up shop and see what they’ve been working on. Do a little early holiday shopping! Emily Bellinger of Mmmily Handmade is a local Rochester, NY fiber artist & maker. Join her for a pop up shop on Saturday, October 20th from 12-4pm. Celebrate the launch of the latest issue of Disquiet, a local horror-comic anthology! Cire d’Abeille Skin Care pop up shop this Saturday from noon - 3 pm featuring fall flavors. - Enjoy a cocktail while you shop at Little Button. We'll have cocktails made by local vendors (May 17th Sweet & Cute Coffee Syrup will be making cocktails, the other months are TBA). Those partaking in cocktails will need to show a valid drivers license showing that they are 21+. Those who are not drinking are more than welcome to come shop! - No swag bags this year, but we'll be collecting raffle ticket entries for a $25 Little Button Gift Card. The Gift Card winner will be chosen at the September Sip & Shop. Weird and whimsical creations in porcelain and stoneware clay from the mind of Diana P. You'll find wearable and functional pieces featuring mini monsters, gnomes and an assortment of critters to decorate your body or your home!